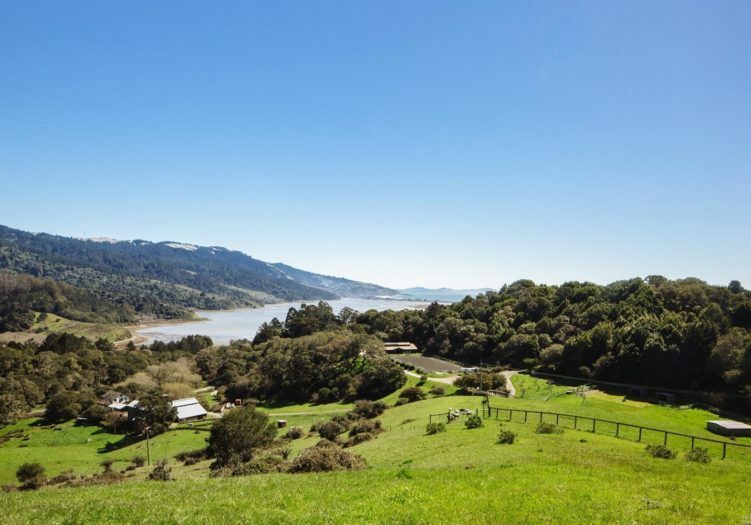 Extremely rare 65 +/- oak studded acres with spectacular water views of SF and Bolinas lagoon. SFH built in 1920 remodeled in 2008. Free standing studio. High end 7 stall horse barn with office. 100' x 200' year round riding arena. Large barn built in 1938 and remodeled for large gatherings. Multiple other out buildings. 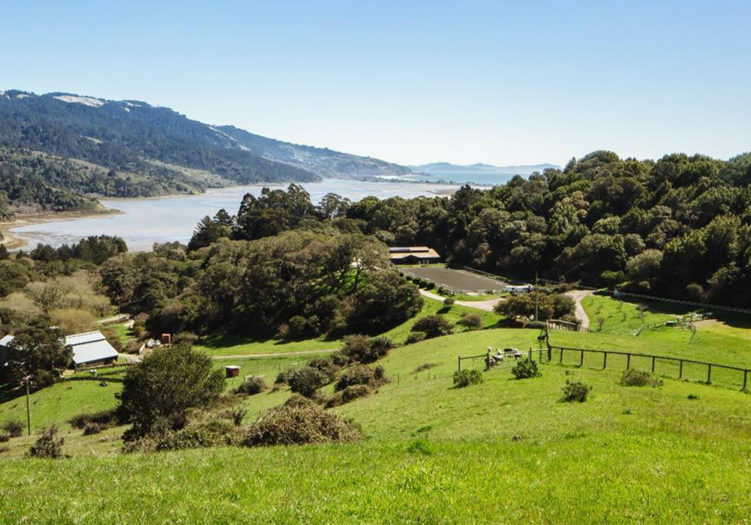 Property divided into multiple pastures with horse fencing. Best weather in West Marin with small orchard and citrus trees.